With more than £20m of machinery and equipment on display and in working demonstrations, there will be something to delight every visitor, from new tractors and muck spreaders to grass measuring equipment and forage harvesters. Visitors will also be able to compare new grass varieties growing side-by-side, examine time-saving silage sheeting and check out near infra-red forage analysis technology. 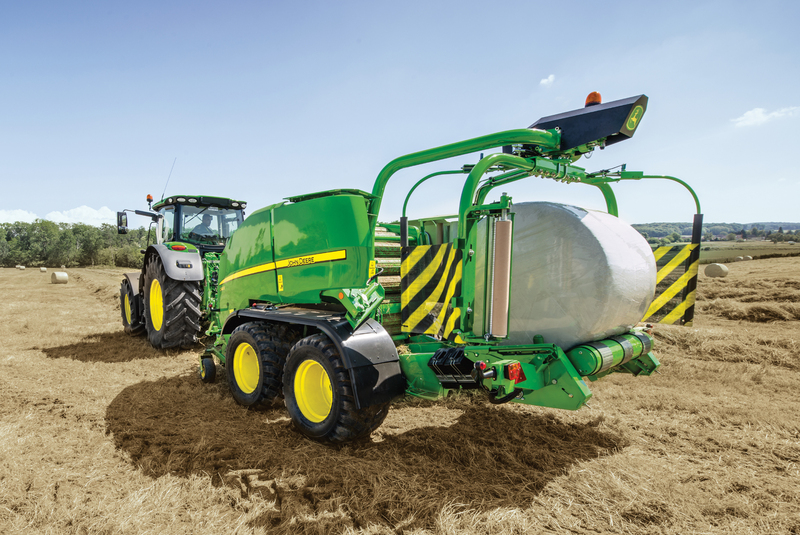 In the working machinery area John Deere will be making its UK public working demonstration debut with three new launches: The 6250R tractor with its award-winning CommandPRO joystick, the premium C441R wrapping baler and the innovative Manure Sensing system. The light, powerful 6250R tractor features an AutoPowr transmission and develops up to 300hp with Intelligent Power Management. It will be equipped with a triple mower conditioner, with the new high capacity baler in action later in the day. Developed to meet the requirements of contractors and larger livestock farms, the new C441R baler boasts improved performance in both heavy, wet grass crops and dry straw, so is now a true all-rounder with a 15% faster wrapping arm. Completing the trio will be the new Manure Sensing system, fitted to a Joskin slurry tanker in the muck demonstration area. It is designed to adjust slurry application rates to match field conditions, increasing crop yields while minimising input costs. Back in the working demonstrations, Pottinger’s new IMPRESS round balers will be making their UK debut. With a new design of both fixed and variable chamber balers, they boast a chopping unit with up to 32 knives, fed by the unique LIFTUP rotor technology to ensure consistent chop length. When it comes to transporting crops, Continental Soil Technology’s Krampe Bandit trailer can be seen for the first time, with its belt floor offering true grain proof handling and horizontal unloading of produce that is both fast and gentle on crops. Energy costs are also under the spotlight, with Graham Heath Construction and the Mikhno Group unveiling their steel framed eco-buildings with integral rooftop photovoltaic solar panels to reduce electricity bills by up to 60%. To find out about more product launches at Grassland & Muck visit the website www.grasslandevent.co.uk/whats-new. The Grassland & Muck Event will be held at Stoneleigh from 24-25 May. Tickets are now on sale and visitors can save £4 per adult ticket by purchasing in advance. For more information visit grasslandevent.co.uk.